President Trump's adviser Kellyanne Conway has blamed two Iraqi refugees for a massacre that never happened. 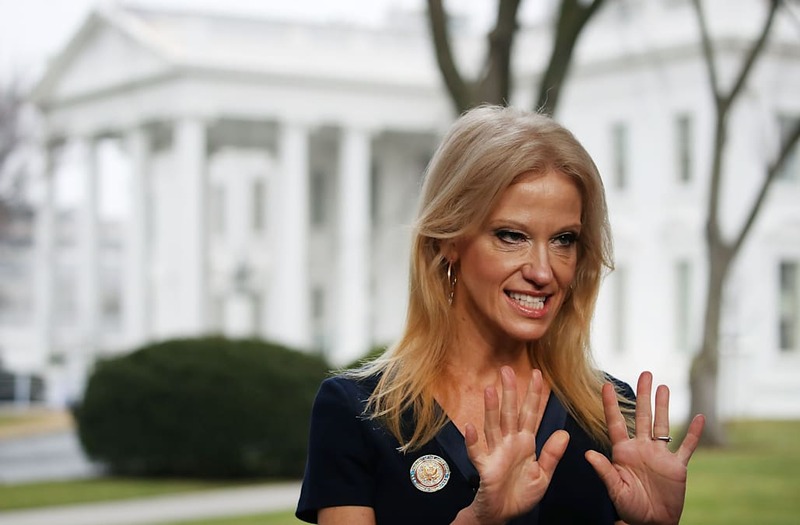 Conway is building a reputation for citing falsehoods, untruths and outright lies as "alternative facts." The latest such example of this is an interview she did with MSNBC where she spoke about the "Bowling Green massacre" in an effort to defend Trump's controversial travel ban. The trouble is there was no such massacre. "I bet it's brand new information to people that President Obama had a six-month ban on the Iraqi refugee program after two Iraqis came here to this country, were radicalised and they were the masterminds behind the Bowling Green massacre," Conway told host Chris Matthews on MSNBC's Hardball programme. "Most people don't know that because it didn't get covered," she continued. Commentators quickly debunked the claim on social media. The 2011 action was a refugee slowdown, not a full travel ban, after two Iraqi citizens were arrested and indicted over a botched attempt to send money and weapons to al-Qaeda in Iraq. The two men did live in Bowling Green, Kentucky and are currently serving life in prison on federal terrorism charges. But there was no massacre on US soil and they were not accused of planning one.